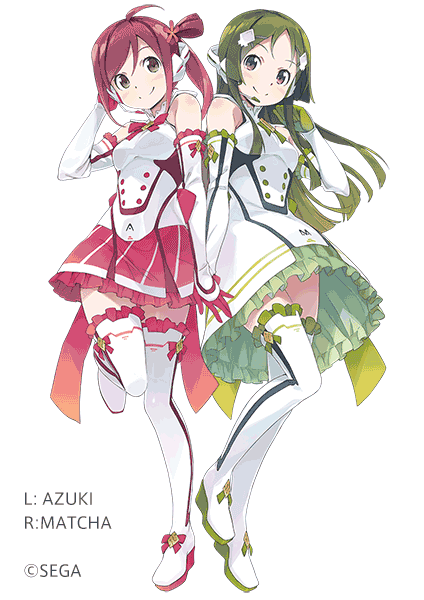 [New Release] Announcing the debut of two new female Japanese VOCALOID4 Voice Banks, AZUKI & MATCHA! 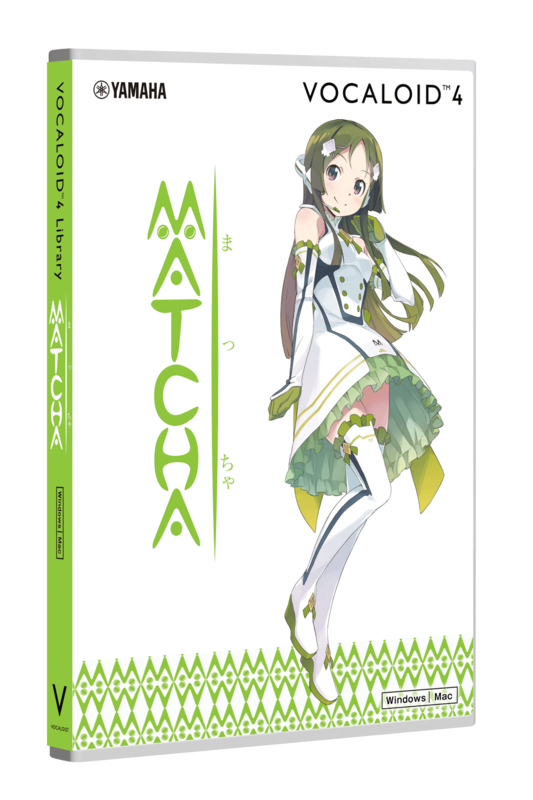 - VOCALOID4 Library AZUKI and VOCALOID4 Library MATCHA will be released on 12th July 2017. The main characters of the PS Vita games Utagumi 575 and Miracle Girls Festival, as well as the anime Go! Go! 575, Azuki Masaoka and Matcha Kobayashi, have been made into Yamaha VOCALOID4 Voice Banks. The VOCALOID4 Voice Banks for both Azuki Masaoka and Matcha Kobayashi, the main characters of the PS Vita games Utagumi 575 and Miracle Girls Festival, and the anime Go! Go! 575, go on sale today, exclusively at the official VOCALOID website. VOCALOID4 Voice Bank AZUKI is based on the character Azuki Masaoka. It is a female Japanese VOCALOID4 Voice Bank that was created using the voice of popular voice actress Yuka Ohtsubo, who is also famous for voicing Kyoko Toshinou in Yuru Yuri, and Kanako Mimura in THE iDOLM@STER: Cinderella Girls. VOCALOID4 Voice Bank MATCHA is based on the character Matcha Kobayashi. It is a female Japanese VOCALOID4 Voice Bank that was created using the voice of popular voice actress Ayaka Ohashi, who is also famous for voicing Uzuki Shimamura in THE iDOLM@STER: Cinderella Girls, Adeltroot Alter in Knights & Magic, Yozora Kasumi in Aikatsu Stars. In addition to the above mentioned separately sold products, we will also be releasing a reasonably priced AZUKI & MATCHA Set at the same time. VOCALOID is a technology developed by Yamaha in 2003 to create artificial singing voices just by inputting words and melodies. By installing a Voice Bank and the VOCALOID Editor, you can instruct the virtual singer to perform anytime and anywhere. AZUKI & MATCHA are especially recommended for the following people. You can make Azuki Masaoka (Yuka Otsubo) and Matcha Kobayashi (Ayaka Ohashi) sing your favorite songs and melodies. Add the new, unique voices of AZUKI and MATCHA to your VOCALOID collection! Why not give AZUKI and MATCHA a try in your vocal samples, for either your main vocals or chorus? 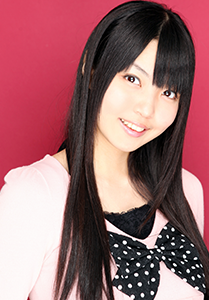 This is Yuka Otsubo, the voice of Azuki Masaoka. I am so happy that the world of Azuki and Matcha has been expanded with the creation of VOCALOIDs AZUKI and MATCHA! They also come loaded with some new VOCALOID features, so make sure to add them to your VOCALOID family! I hope you enjoy using our voices. 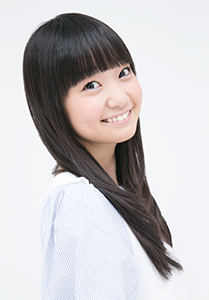 AZUKI has a peppy, positive sounding voice, and is recommended for cute, colorful rock and pop songs. MATCHA has a powerful, yet composed voice, and is recommended for calm melodies, such as slow-tempo ballads. Their contrasting voices make them perfect for duets. * VOCALOID4 Voice Bank AZUKI, VOCALOID4 Voice Bank MATCHA, and AZUKI & MATCHA Set are all VOCALOID4 Voice Bank products. A VOCALOID4 editing software product, such as the VOCALOID4 Editor or the VOCALOID4 Editor for Cubase and Cubase Series (both sold separately), is required to use them. Previously, you could only hear the voices of Azuki and Matcha in the 575 games. Now, with VOCALOID4 AZUKI and VOCALOID4 MATCHA, you can make them sing all your favorite songs and melodies. Of course, you can also match them up to 5-7-5 rhythms, just like you do in the games! Their voices have been made clearer and smoother than ever, thanks to the VOCALOID4 engine. Not only can you make them sing in their normal voices, but you can also easily make them sing in high-pitched and robotic voices as well. These effects are widely used in genres like hip-hop, EDM, and trap music. 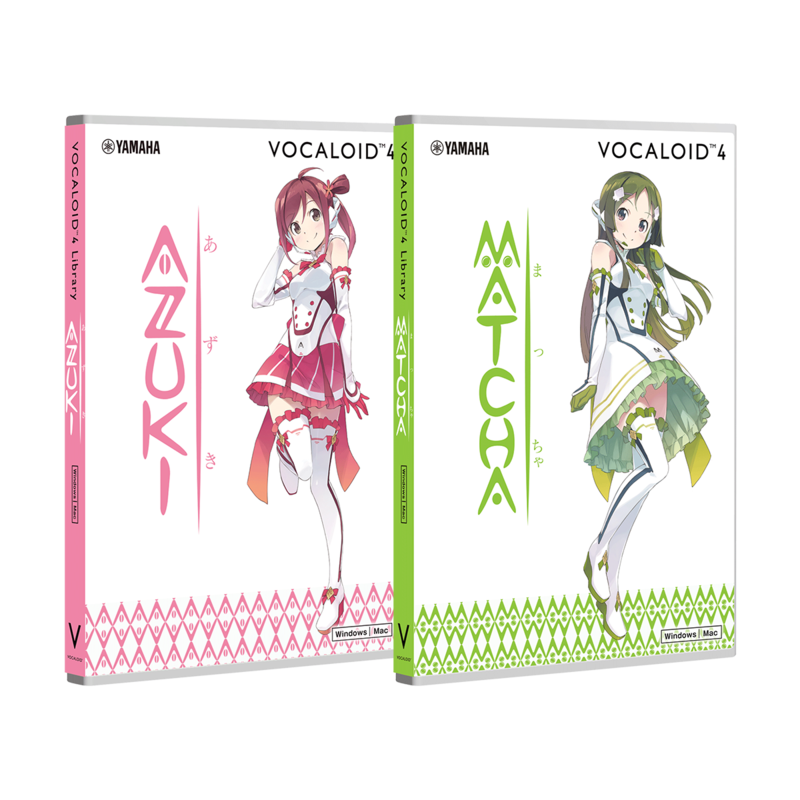 VOCALOID4 Library AZUKI, VOCALOID4 Library MATCHA, VOCALOID4 AZUKI＆MATCHA set are now available at VOCALOID SHOP. The best solutions for starting VOCALOID into your music production. Packed a basic VOCALOID Editor software and one to some VOCALOID various voice bank products. See the product details on below banner. * See the product details page for the operating environment of each products.